The treats are in the bag, literally! 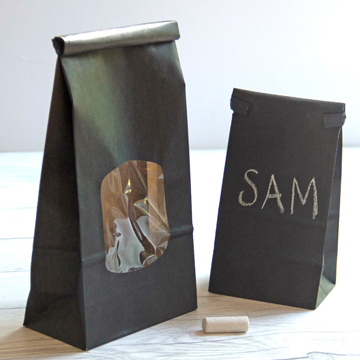 We are thrilled to introduce Chalk treat bags, the newest addition to our ETC Papers line. 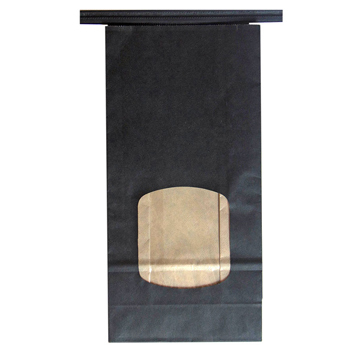 These Chalk bags have a chalkboard finish on the outside with a food safe, polylined finish on the inside. 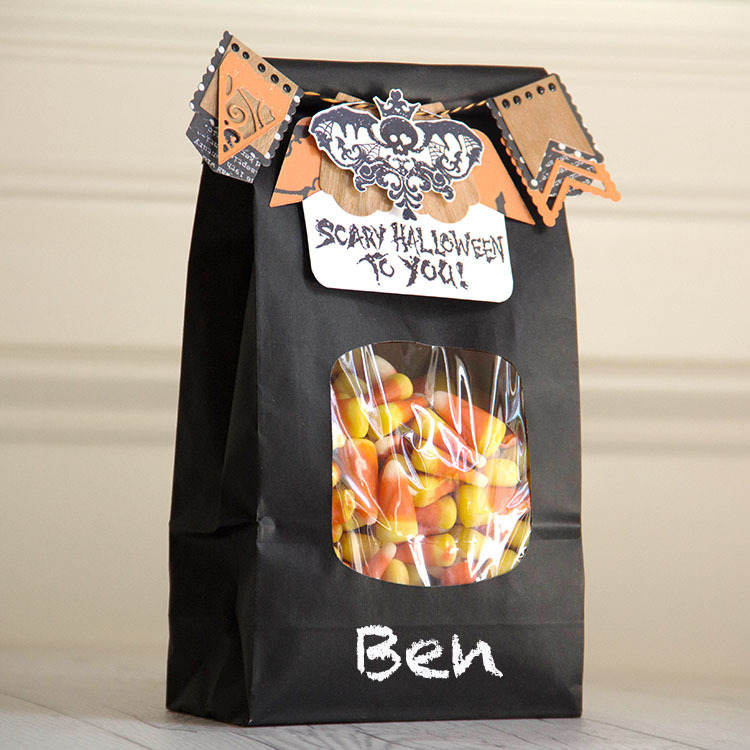 Bags have a tin tie, making closure easy and perfect for treats! The large Chalk bag measures 4.75″ x 2.5″ x 9.5″ and has a window. The small Chalk bag measures 3.375″ x 2.5″ x 7.75″. These bags are customizable. 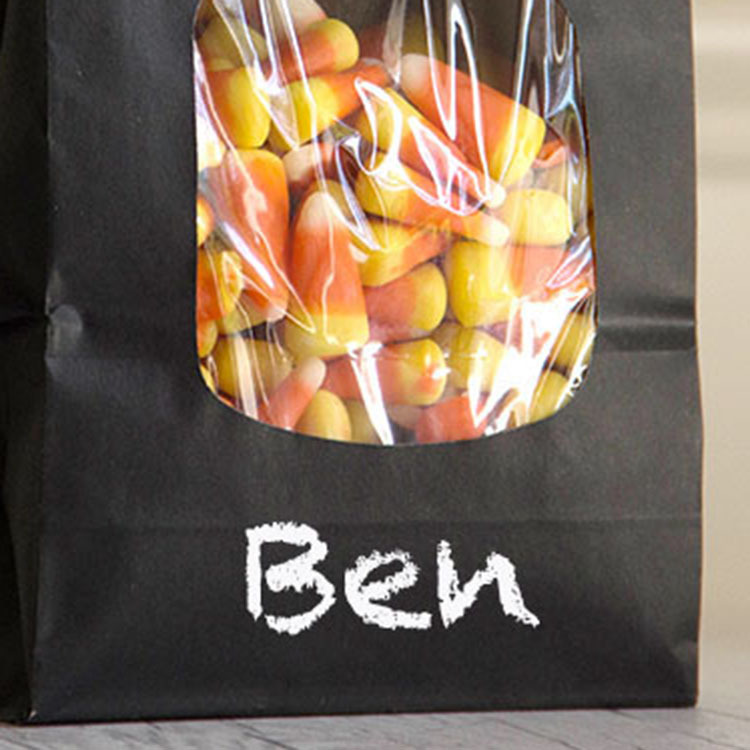 Write personalized messages or doodle a cool design directly onto the outside of the bag with chalk. Need a fun way to dress up those Halloween Treats? 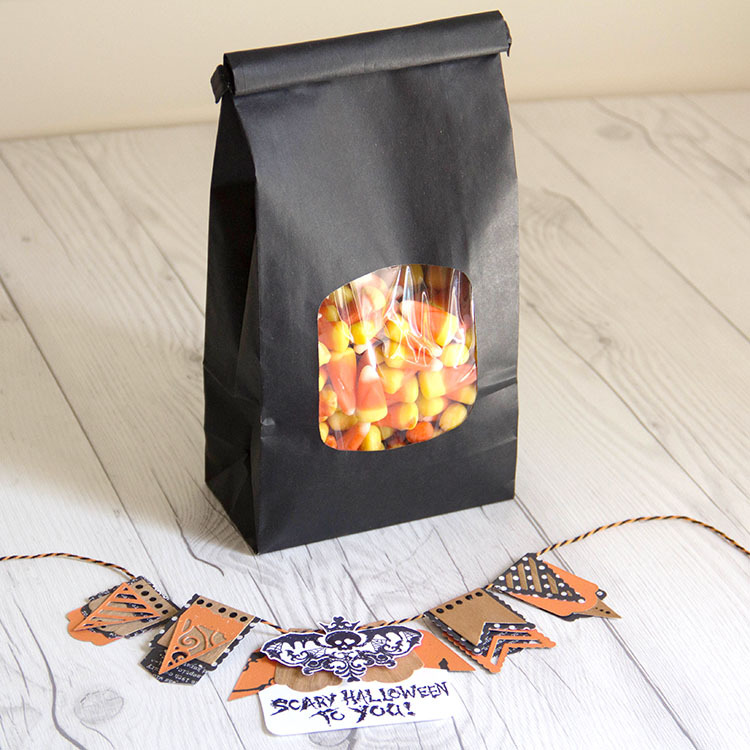 Fill up the large Chalk Bag with candy corn or any festive treat. The large bag has a window making it easy to see what’s inside without opening the bag. Personalize the bag and you are set for gifting. We used a few fabulous products from our friends at Tonic Studios to help dress up our bag. We created a little Halloween banner to attach to the top of our Chalk Bag using Tonic Studios Nuvo Crystal Dots and the Garland Fayre Decorative Bunting die. 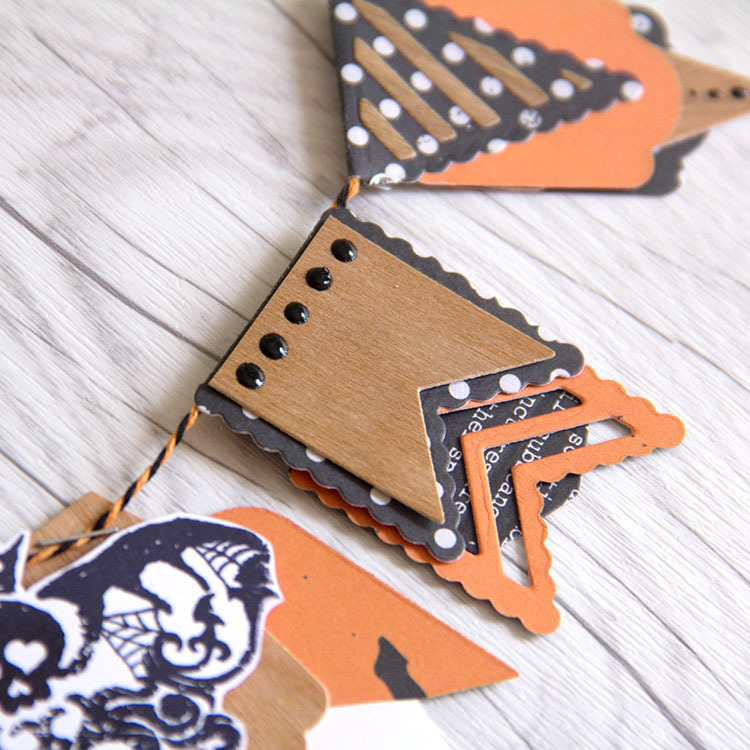 We used Cherry Wood paper to create this Halloween bunting. 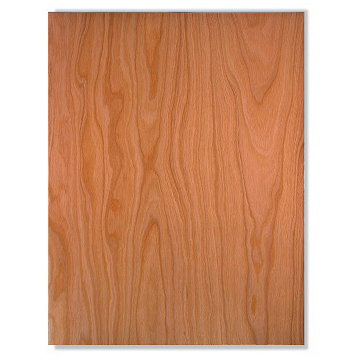 Cherry Wood paper comes in sheets, envelopes, rolls, tape, tags, labels and more! 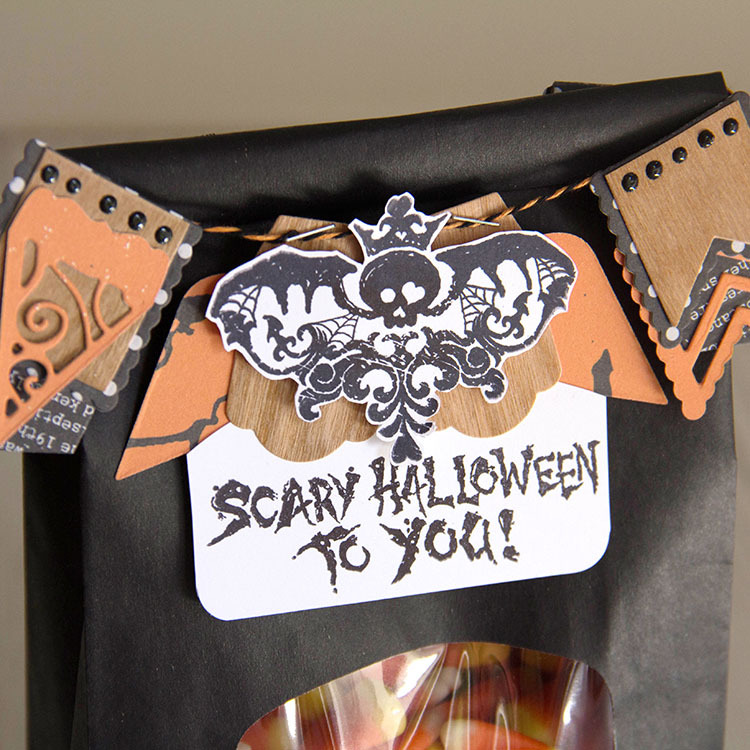 Die cut various sheets of Halloween pattern paper and Cherry Wood paper using the Garland Fayre Decorative bunting die to create a layered banner. 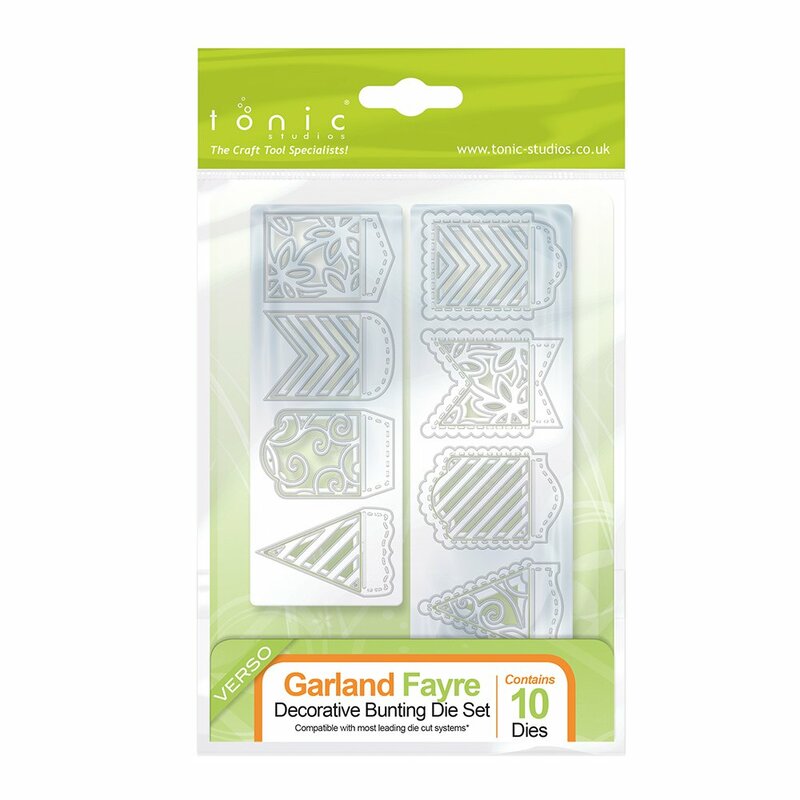 Use Nuvo Crystal Drops to create custom epoxy embellishments. We added little dots of Ebony Black to the tops of the bunting. Mini banners are a great way to dress up all sorts of projects. Use as a cake topper, hang over the corner of a picture frame, or attach the bunting to a Chalk Treat bag. 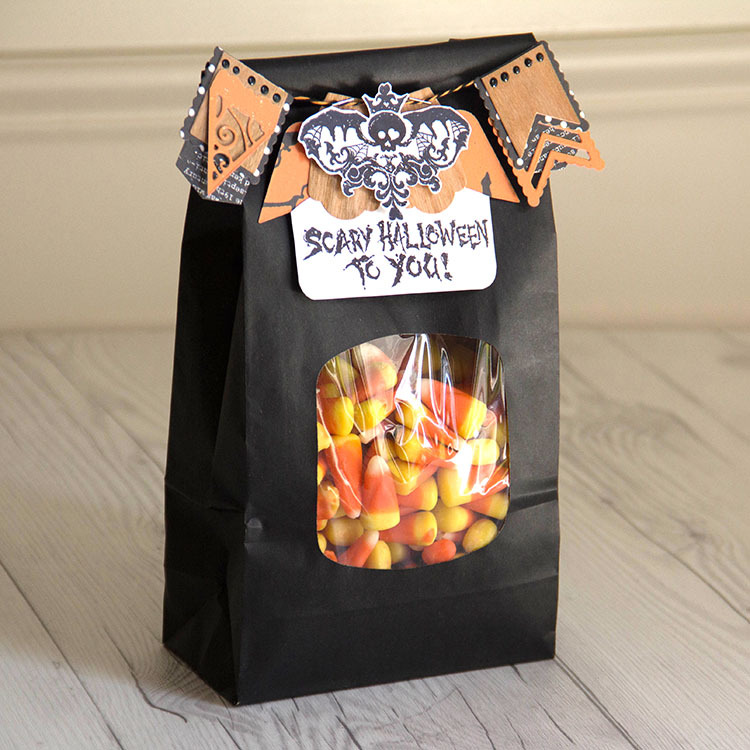 This entry was posted in DIY Projects, New Seasonal & Special Occasions and tagged Chalk, Chalk Bags, Halloween, halloween gifts, treat bags, Treat packaging.